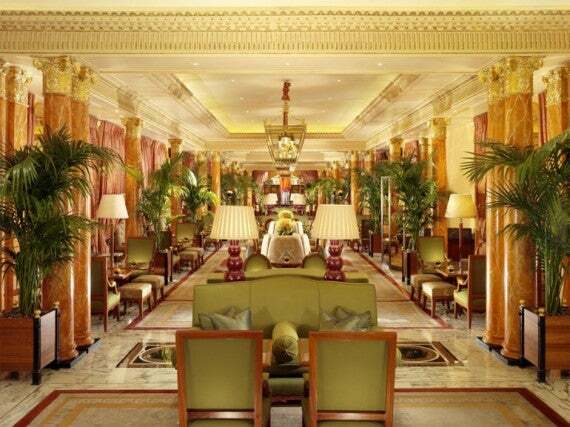 The Dorchester is an iconic part of British heritage and a world renowned landmark on London’s glamorous Park Lane. 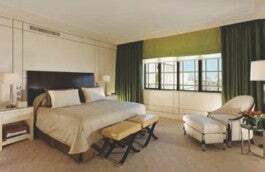 A 1930s art deco exterior houses 250 rooms and suites designed with classic English interiors, plus three contemporary roof suites with wraparound outdoor terraces overlooking the London skyline. The award-winning restaurants and bars at The Dorchester are led by London’s most experienced and welcoming staff, and the hotel is famous for its huge number of celebrity guests including Tom Cruise, Johnny Depp, the late Michael Jackson, Mariah Carey and Lady Gaga. Why we love it: Recently refurbished by New York-based designer Alexandra Champalimaud, the Harlequin Suite boasts elegant décor of silk and leather, a freestanding bath, fireplace and large outdoor terrace with stunning views over London. Discreetly reminiscent of the Hollywood glamour long associated with the hotel, the design of these suites emulates the style in which The Dorchester was originally built in the 1930s while remaining fresh, modern and luxurious. In fact, it was in this very room that Elizabeth Taylor first heard she would star in the movie Cleopatra, and the original pink marble bathroom installed for her use remains to this day.